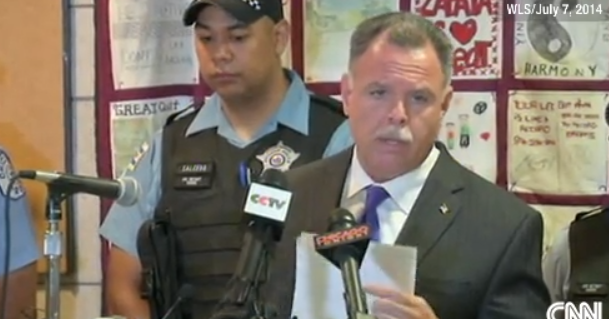 Chicago just had what even by their standards was a bad week for shootings. It’s gotten so bad, parents in south Chicago were seen kissing their 5 yr olds goodbye and placing them atop trains bound for Guatemala. So despite the fact that the city has the most stringent gun laws in the nation and a higher casualty rate than Iraq… The chief of police doubled down on failure and blamed the problem on lack of gun laws. Again. The chief of police in the city with the most stringent gun laws in America blames lax gun laws for the over-the-top violence in his city. Really. Next Post Ignorance of firearms proves fatal…. Nice try chief, those gun control laws in Chicagoland are Democrat Gun Control Laws and you are right in one respect, your gun Control Laws don’t work to reduce crime, they only work to shackle and restrict honest citizens from protecting their lives under your political regime!